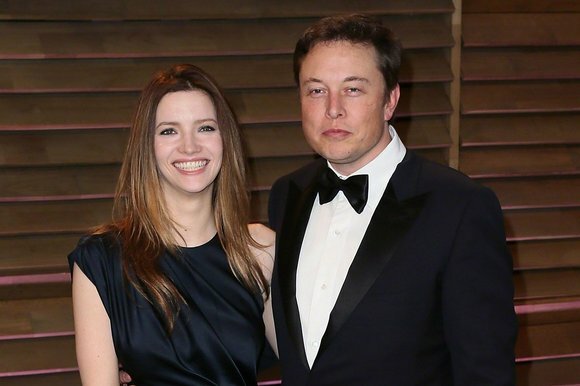 Tech billionaire Elon Musk remarried wife Tallulah Riley. Their first marriage was in 2010, they divorced in 2012, but then re married in. July 2013, then filed a second divorce at the end 2013. Liz Taylor, Pamela Anderson and Mel Griffith, all remarried their former spouses. Why on earth do people do this? Well, perhaps it isn’t as mad as it sounds. Although these celebrity remarriages usually ended in a second divorce it isn’t always the case. Apparently research into 1000 couples found 72% of remarriages were successful. It seems that the power of their shared history, children and lives carried a lot of weight. Many regret their divorce and are brave enough to try and put things right, try and put the clock back. This is hard, as it is a very public admission of a very serious mistake, but the stakes are high and it is well worth facing down the comments and criticism to try and live the right life and put right a big mistake, if you’ve made one. As a mediator I sometimes get the chance at the end of a mediation, to ask clients I have got close to if they could go back in life, would they change anything? This is especially interesting where people are divorcing for a second or subsequent time, as they have often considerable experiential insight into their situation. What they often say is they regret their first divorce most. They wish they had worked much harder at their first marriage. Some men especially think they divorced and remarried younger women very like their first wives and wish they had stayed put. The biggest problem is behaving rationally when in the throws of the grip of a passionate affair. It seems inconceivable that it will end or there would be any way back to their old relationship. Also once everyone knows what has happened there is a weight of expectation that the marriage is over and will end. Countering this expectation and the powerful emotions of the new relationship becomes almost impossible, even if at some level there are doubts, regrets and a feeling it shouldn’t have happened. Perhaps we are too quick to be off with the old and on with the new. Perhaps we should hesitate more and take much more time before divorcing. The present divorce laws make it worse. The process requires someone to be at fault, to get a divorce in under two years. Supposing we stopped all that and made the process administrative, something that takes place over time. The questions might involve asking each person if they are certain the relationship is over or might be saved. It might help pick up those cases where actually the relationship isn’t over at all. That would be worth some effort. This entry was written by focusmediation, posted on June 8, 2015 at 6:50 pm, filed under Conflict, Family, Mediation, Separation and tagged co-habitation, Conflict, Divorce. Bookmark the permalink. Follow any comments here with the RSS feed for this post. Post a comment or leave a trackback: Trackback URL. We married in 1977 after an 18 month courtship, I was 19 he was 24. We intended to have at least 5 years before starting a family. But by the time I was 22 I’d had 2 miscarriages and 2 children. We loved our 2 boys and had wonderful family times together. But we went through tough times – financially through my husband being laid off and on strike in the early 80s -and emotionally through illness and loss of close family – but we got through them all but at times just felt like we were going through the motions and lost sight of each other. I went back to work to get us back on our feet and my husband and 2 sons carried on with their football and hobbies and at times I felt left out and felt taken for granted – a doormat I suppose. As the boys grew up and reached the stage where they were doing their own thing we suddenly felt like strangers. At that time also my mum was diagnosed with incurable cancer the bottom fell out of my world and we ended up divorcing after 21 years of marriage. ….. We did many years later remarry ..I’m not sure if I’m talking to myself here or not. So if anyone is interested in the second half of this story please let me know and I’ll continue.